"My prediction is AJ wins this by a wide points decision (3/1 on Betfair) or a late stoppage (10-12 stoppage is 13/2). If the fight ends early, it could be from a a big punch from Povetkin as he's shown, time and time again, his left hook is good." Povetkin is a Russian sensation, an Olympic gold medallist and former heavyweight champ who only ever lost, on points, to Wladimir Klitschko - his resume is solid. I've known Povetkin for many years, since the amateurs. He's a very dangerous and underrated fighter; not many people are giving him a shot in this fight but I believe he's the best opponent that Joshua has faced up until this point and that includes Klitschko. Klitschko was pushing 40 when they fought last time and, while Povetkin is in the twilight of his career, I believe he's got some good rounds left in him. My prediction is AJ wins this by a wide points decision (3/1 on Betfair) or a late stoppage (10-12 stoppage is 13/2). If the fight ends early, it could be from a a big punch from Povetkin as he's shown, time and time again, his left hook is good. If you want to trade left hooks with him, he can knock you out - he can knock anybody out. You saw what he did to David Price the last time he was on these shores. Joshua needs to stay away from Povetkin's left hook. 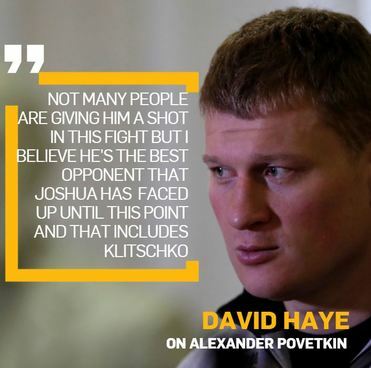 If there was ever an opponent that AJ has needed to keep at arm's length in terms of boxing at long range, it's against Povetkin as he likes to fight close, he's a master at inside fighting. Joshua is a big guy with long arms and he needs to use them to the maximum. 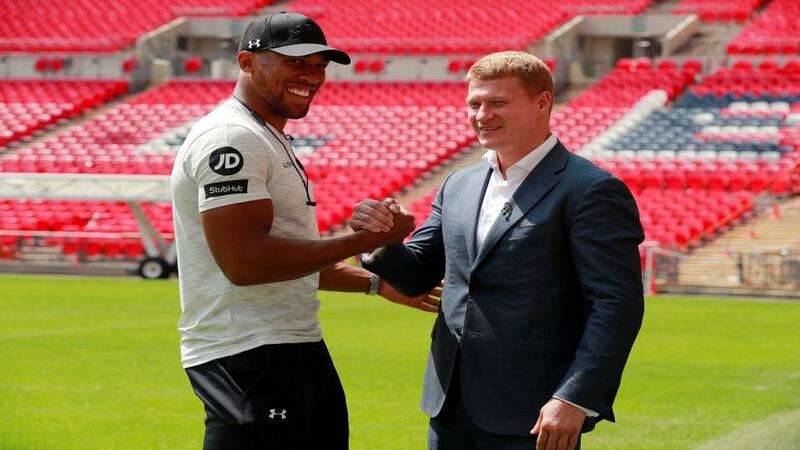 Joshua won't be looking past Povetkin and he won't want to talk to anyone about what comes next until this fight is fought. But clearly everyone is looking at Wilder or Fury as his next opponent. Fury v Wilder is a great proposition in its own right and I would love to see the winner fight the winner of Joshua v Povetkin. I think that would give us a true number one without argument. Assuming Joshua triumphs on Saturday night, whoever wins that fight would present Joshua's biggest challenge yet and if the fight eventuated we would finally have an undisputed Heavyweight Champion of the World and that could happen as early as April next year. But, as I say, Joshua will not be thinking that far ahead at all.